My first attempt at making Suji (Semolina Pudding) and alhamdulillah its turn out good 😊 This pudding is originated from India and it has become a favourite among the Arabs and the Malays as well. – Stir constantly till mixture becomes thick, off the fire. – Pour into pudding moulds, topped with the raisins, almonds and pistachios. Can serve warm or cold. 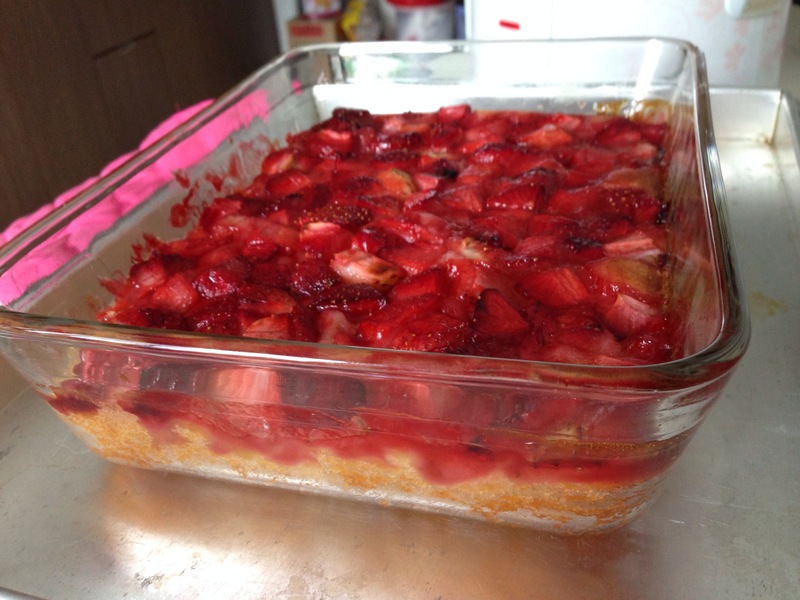 My virgin attempt at making Fresh strawberry cobbler. 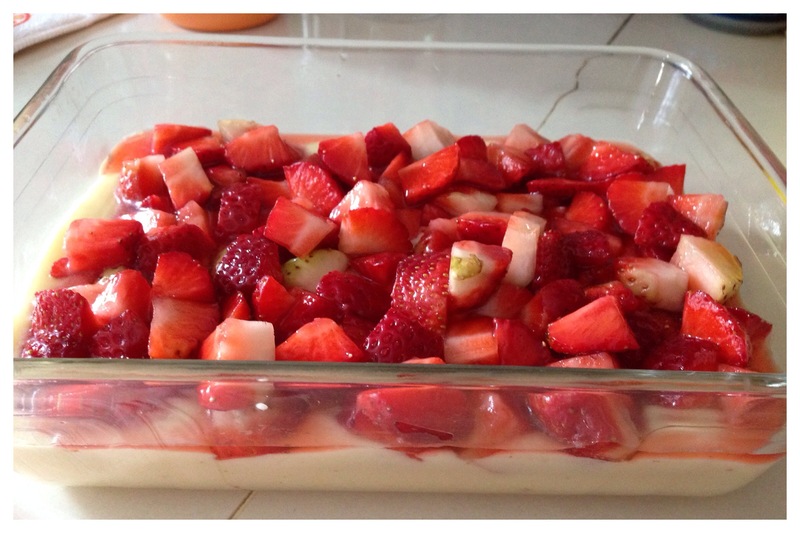 In fact this is the first fruit cobbler dessert that I’m baking. Stir to coat strawberries in sugar and set aside. Add in milk, vanilla extract and melted butter. Stir until combined. A few lumps are ok. Grease a 9-inch casserole dish. Pour batter evenly into dish. 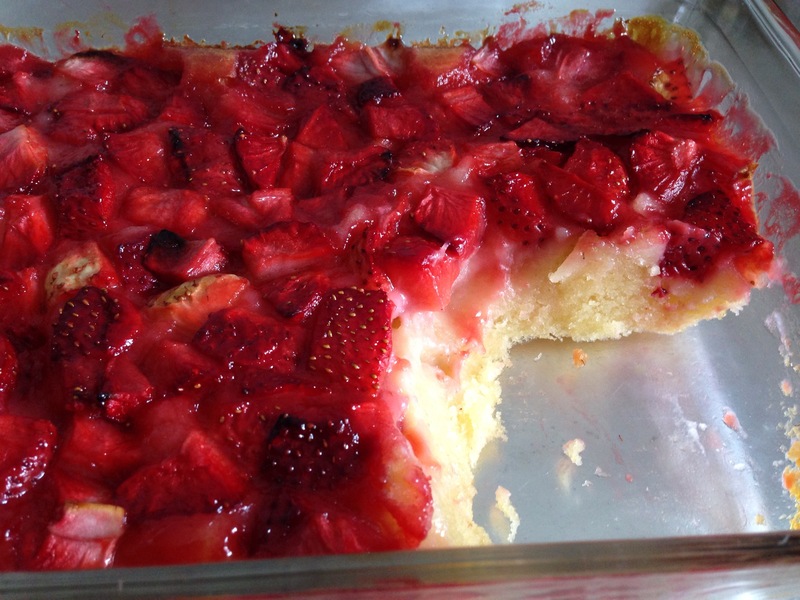 Spoon strawberries evenly on top of batter. Do NOT stir. We had our iftar (break fast) at my 3rd sister’s house today. It’s our yearly tradition to do so during the fasting month. Family get-together and break fast together. Wonderful atmosphere and a good way to strengthen family ties. Talam Keladi is one of my favourite traditional cake. I just love them! – Heat the steamer over a medium fire. – Have a small cake container, spread a bit of oil all over it. – Mix all the ingredients (Bottom layer) except for the yams. Mix thoroughly and sieve the mixture. Then add the yams and steam it for about 15 mins. – Next, mix the ingredients (Upper layer), mix thoroughly and sieve. – When the bottom layer is ready, then pour the upper layer over it. Continue to steam for about 25-30 mins or till the surface are cook. – Cool it and once cool, cut it into small serving with plastic knife. It’s ready to serve.